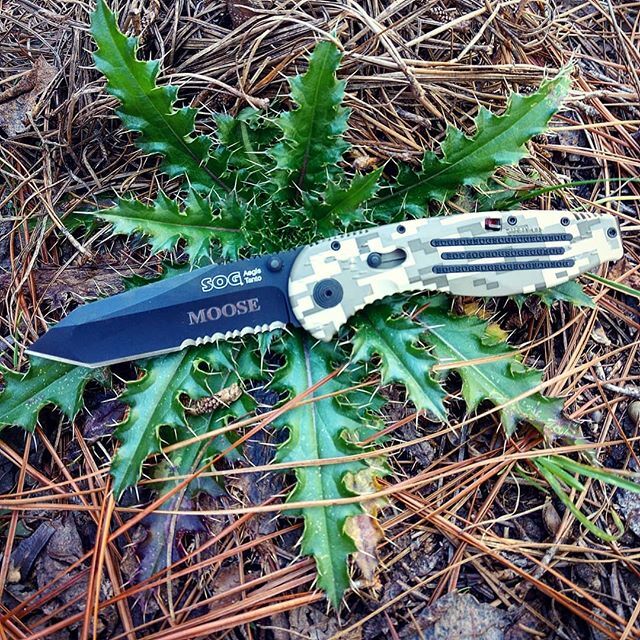 The model AE-07 is the SOG Aegis Tanto Digi Camo. This knife has a tanto style AUS 8 stainless steel partially serrated blade and a zytel handle with a DigiCamo pattern on it. The handle has checkered grips, an integrated Arc-Lock to hold and release the blade, a reversible bayonette style pocket clip, and a safety to prevent accidental opening. To top it all off, the blade is assisted for lightning fast opening. 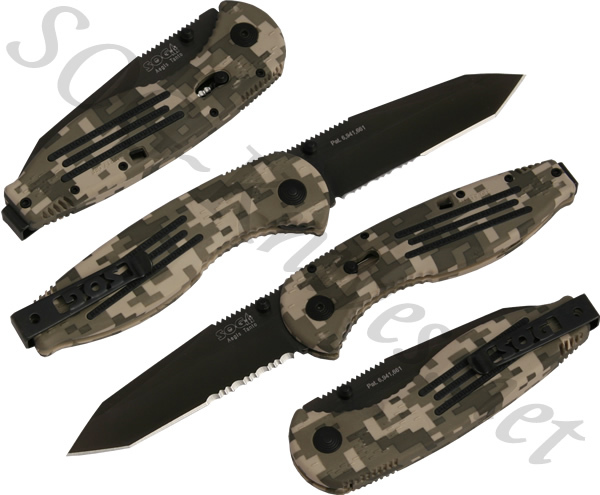 Own a SOG Aegis Tanto Digi Camo Knife AE-07? Tell us how you like it! Got a question? Ask! Somebody will answer!